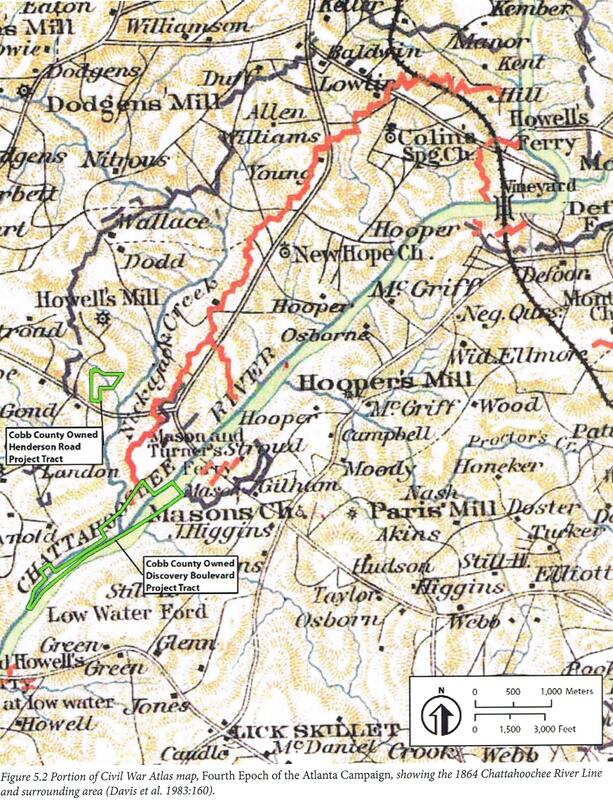 The 1851 "Cobb County Digest" shows Thomas Hooper, Sr. owned 531 acres along the Chattahoochee River. 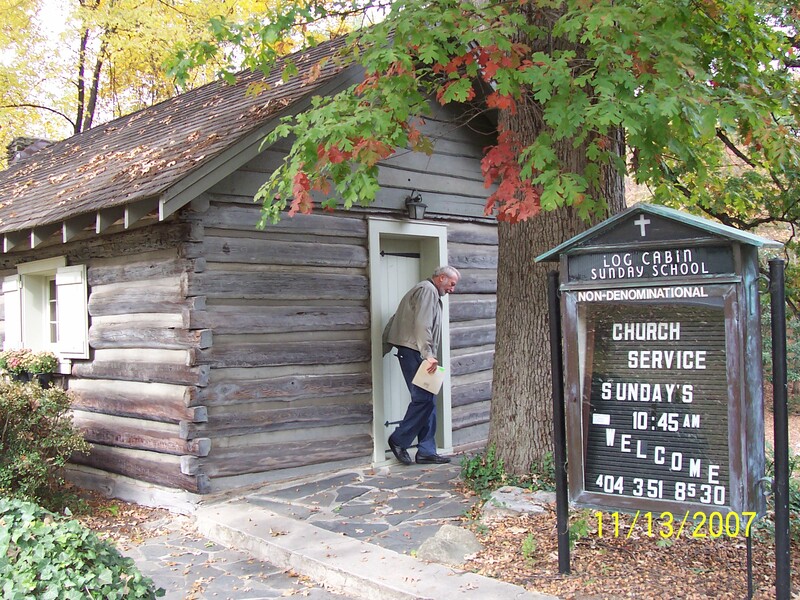 Prior to 1832 the Cherokee Indians occupied Cobb County. Cobb County is divided by Districts and further subdivided by land lots. 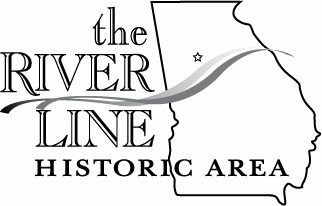 The River Line Historic Area involves land from both the 17th and 18th Districts and the number of 40 acre land lots are numerous and have yet to be counted. The 1851 "Cobb County Digest" shows Daniel R. Turner owned 749 acres along the Chattahoochee River. Daniel operated the Mayson-Turner ferry across the Chattahoochee at today's Veteran's Memorial Hwy. 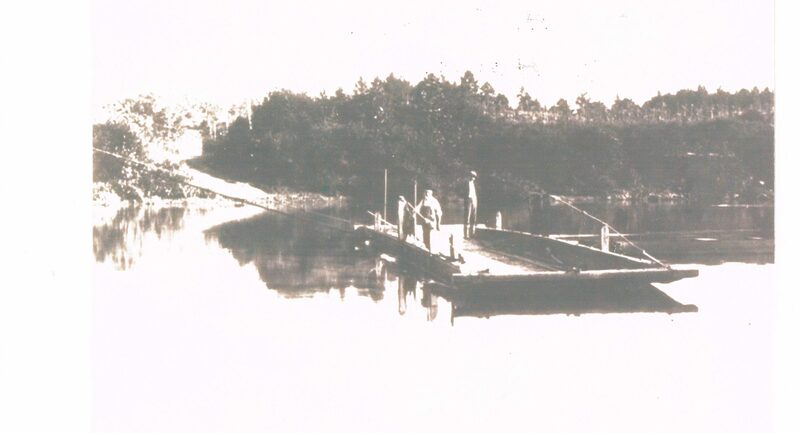 This is a picture of the Mayson -Turner Ferry which operated from 1844 to 1897 at the location of the Veterans's Memorial Hwy (former Bankhead Hwy.) at the Chattahoochee River. 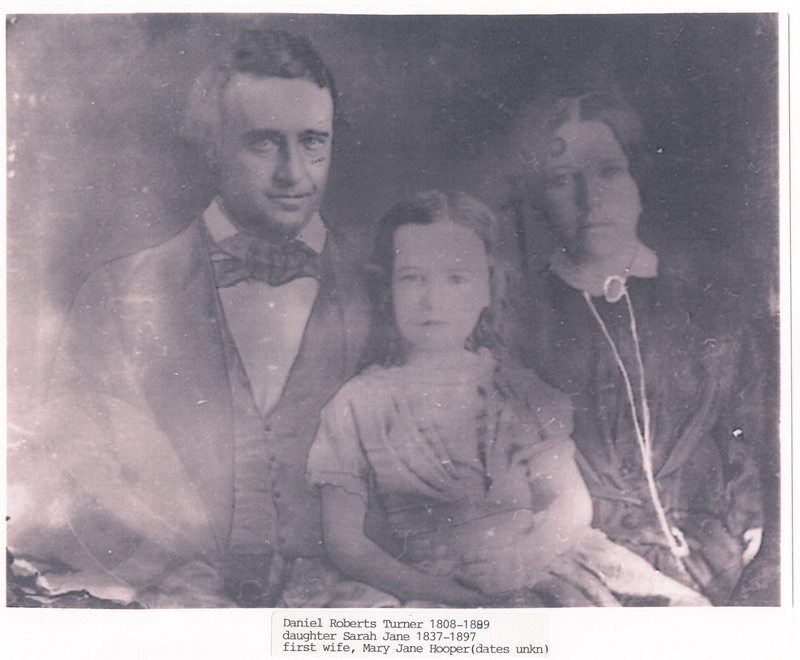 Calhoun Turner and John Hooper are in the picture. The Chattahoochee River was General Sherman's last formidable natural barrier enroute to capture Atlanta. 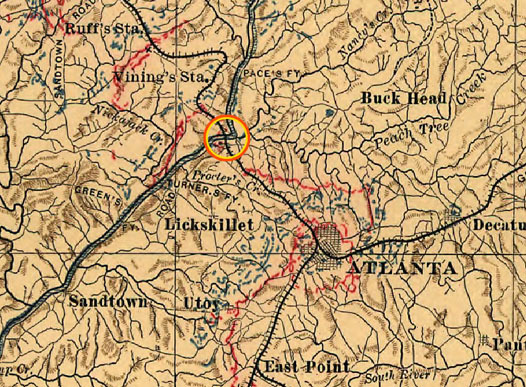 Johnston's River Line was the last line of defense in Cobb County along the West side of the river as shown by the red line on the map. This is the only place worldwide where Shoupade forts were built. There were 36 forts during the war and 9 left today. Those accessible to the public are located at Shoupade Park and River Line Park. 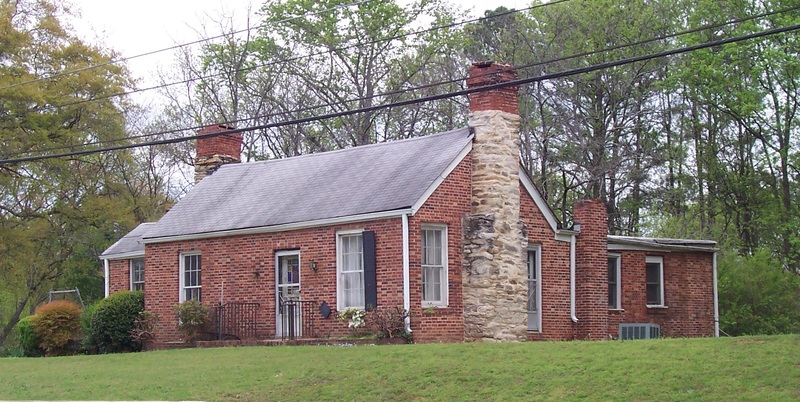 1883 Thomas Hooper Jr. sells the property at 5811 Oakdale Rd. 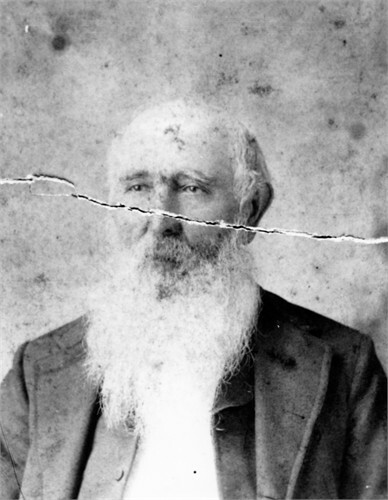 to John H. Turner, oldest son of Daniel Turner, the ferry owner. Although this 1850's period hall and parlor style house has been updated over time, it stood on Oakdale Rd. until it was demolished by the City of Smyrna on 2/18/2015. The house was known through oral history by community seniors as a Civil War hospital, but without supporting documentation. If you have info on this house, please "contact us". 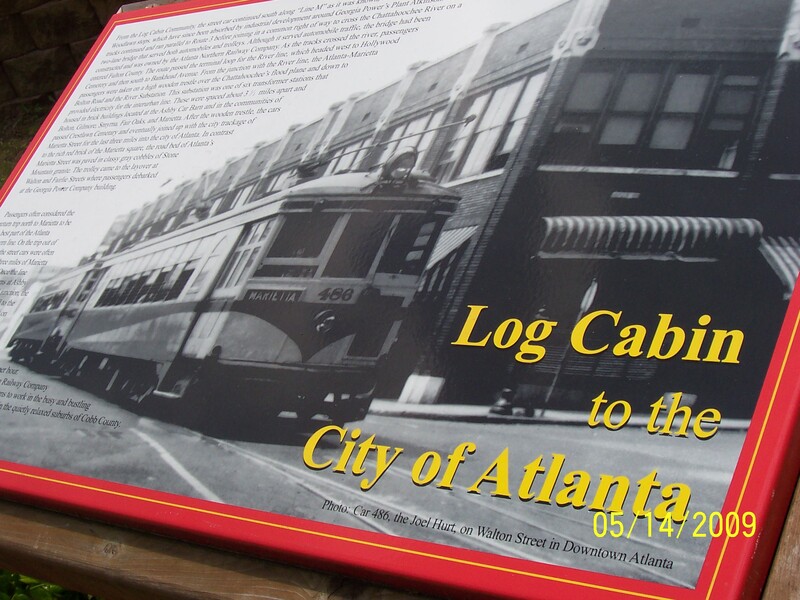 The Atlanta Northern Railway Company operated an electric street car service between Atlanta and Marietta Square with a stop at Carmichael's General Store, now the location of Trolley Line Park. Established on Log Cabin Road, where it remains today. 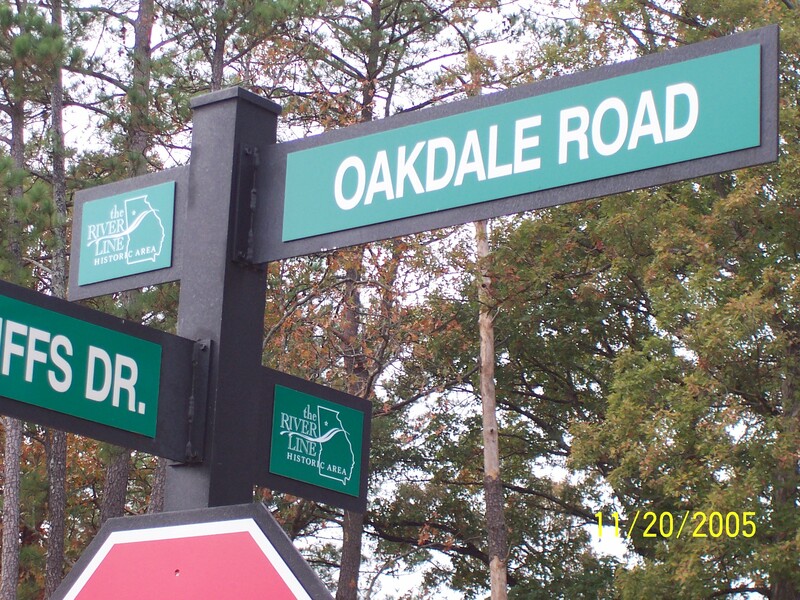 logo is publicly displayed for the first time on street signs at The Enclave at Oakdale and Oakdale Bluffs neighborhoods.